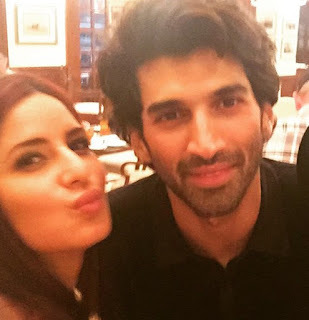 Fitoor directed by Abhishek Kapoor, marks the first pairing of Aditya Roy Kapur and Katrina Kaif. The film has the Kashmir connection to the story, and Aditya Roy Kapur plays a role of Kashmiri guy in the film. Mohammed Abrar, a Kashmir local guy as the younger version of Aditya Roy Kapur in the movie. The unit held the auditions for this younger lead character in Mumbai as well as Delhi, but the unit has come across this boy Mohammed Abrar in Kashmir and have immediate casted for the film. "Lots of auditions were done before Mohammed Abrar was finalised to play the role of younger Aditya. The team was very happy with this casting as he fits the role very well," said sources from unit. Abrar was given training before the shoot, and he even even bonded very well on the sets with Aditya. Fitoor is said to be an adaptation of Charles Dickens' novel Great Expectations, and is scheduled for early next year release.